Happy Wednesday! 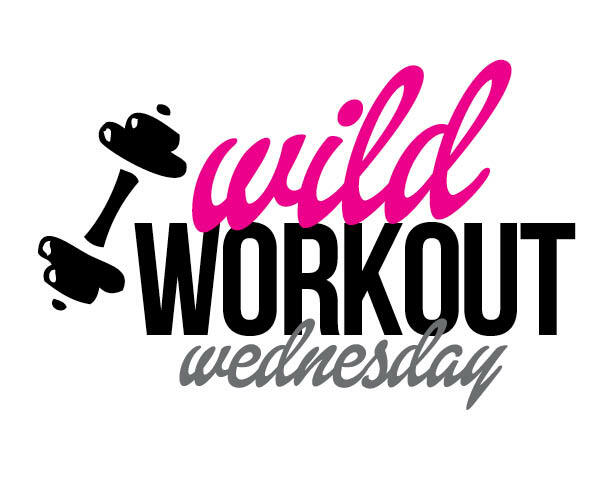 Are you ready for another Wild Workout Wednesday Link up? Every week I link up with Annmarie, Amber and Upala to bring you some great posts about fitness, running, nutrition, motivation and much more! Be sure to check out the blogger who are linking up, I have found a lot of great blogs I enjoy reading from this link up, I know you will too! Also, if you are a blogger, we would love to have you link up with us as well. Today I want to share with you some fun fitness gear I have been using and loving. I am a total fitness gear lover! I want it all, haha! Recently I saw a fellow fitness blogger Ivanna of Petite Heartbeat post a picture of her Jawbone UP on Instagram. I had been thinking about getting one since it looked less bulky than some of the other ones. I did a search on Google and found one at a good price on a discount site for a color they were getting rid of, score for me since I love the color! I got it over this weekend and started using it Monday. It syncs up with your phone app by plugging it in to your phone. I love this, because I am not constantly checking my app. I upload twice a day, once in the morning to see how I slept, and once after my workout so I can log what I did. I really love it! I thought that I wouldn't like to have the band on all day, but it is so lightweight that I hardly know that it is there. It is easy to take off and put on with no clips or snaps. I take it off to shower, otherwise it am wearing it. I don't even notice it at night when I am sleeping, which is great, because I don't like to have jewelery on while I sleep. Here is my summary for my sleep last night and my activity from yesterday. I love that it knows how well I slept, those 2 orange lines in the middle are the two times I woke up, once because my dog was barking and I didn't want her to wake up my daughter so I got up to go get her. The second was when my daughter woke up and wanted to come in my bed. It's pretty cool to see my sleep patterns. 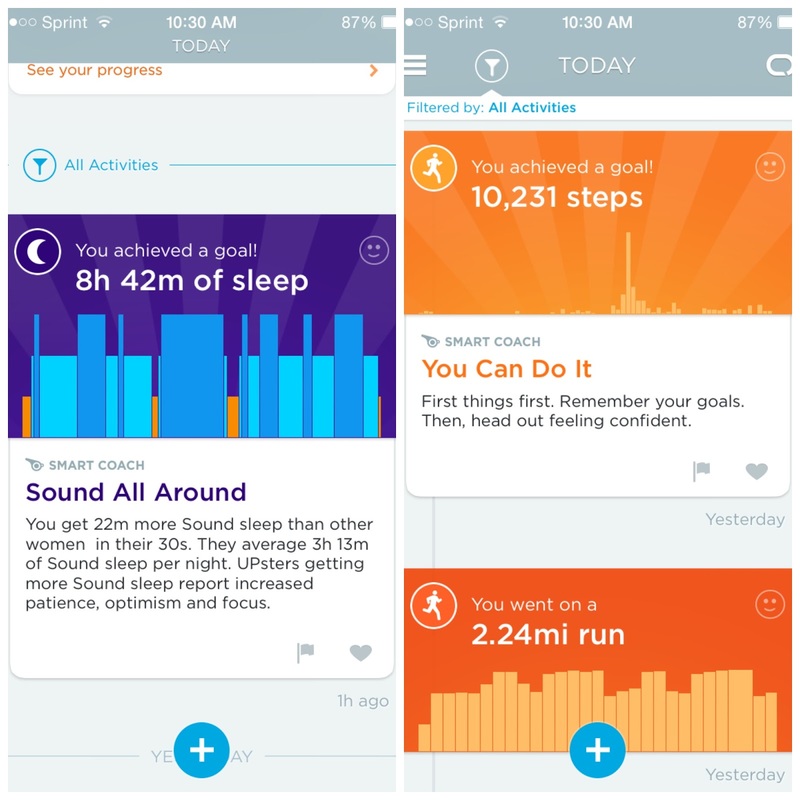 I also love that it tracks my steps, I set my goal at 10,000 steps not knowing how many I take. I am happy to see that I am able to reach my goal during the day. The UP also knows when I am performing my activity, it showed I had 30 minutes of active time, which was my treadmill Couch 2 5k training. I was able to choose my activity and it posted how many miles I did, which was totally accurate. I also did some strength training, but it didn't pick that up as activity. I could add that in if I wanted too. It is so user friendly and easy to use, I would recommend it to someone looking for an affordable fitness tracker. The other thing I love is that I set a reminder for the UP to vibrate if I have been inactive for more than 30 minutes. It is a great reminder to get up and move around for a bit. In fact as I am writing this, it is buzzing at me...time to do a few laps around the house! Okay I am back! Now I want to share about he cool shirts that are in my photo above. As you know I am a FitFluential Ambassador. They posted a fun offer for us ambassadors so I ordered my tank and got my FitFluential tee free! They are both from Viewsport. These shirts are fun because they contain a message in the back of the shirt when it gets wet with sweat! How fun! I wore my Burpees Don't Like You Either one yesterday and apparently I don't sweat as much as I thought because only a little of the message showed up! It is now my goal to get that whole message to show up! 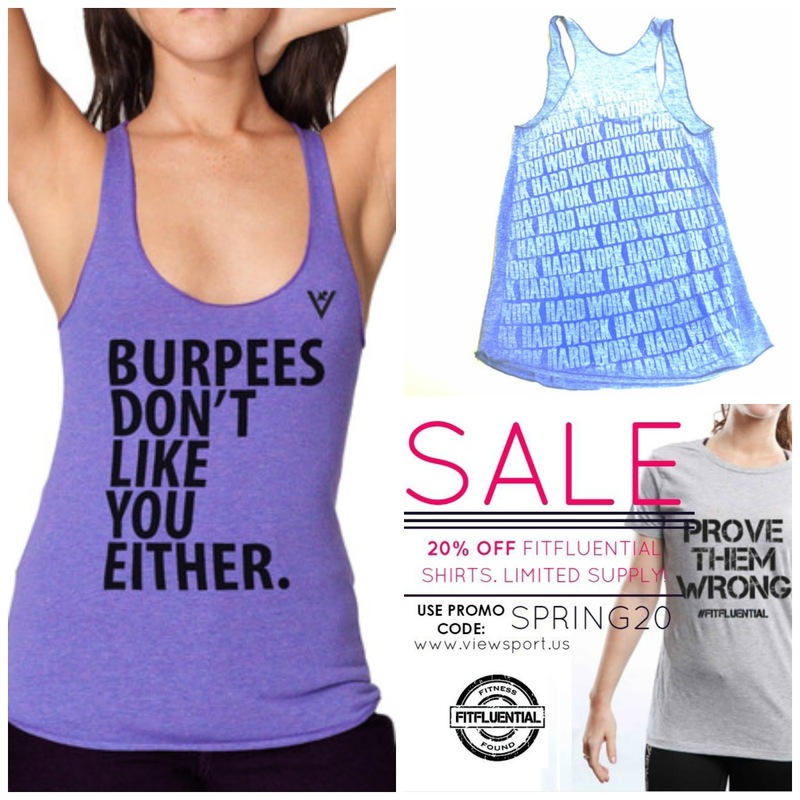 Viewsport has a great offer of 20% off the Limited Edition FitFluential Tee or any item in their shop, just use the code SPRING20. Since I think these shirts are so fun, I wanted to be sure to share with you! I want to share how my Couch to 5k training is going. As I shared I am doing my first 5k in many years, on May 2nd. It is now fast approaching, and even though I got sidetracked by illness, I was able to pick right back up where I left off and do more so I could catch up. I downloaded the free app for my iPhone and I love it! It gives you what you need to do for your run each day. It is set up so you do the same workout three days in a row. I love this because as I progress in the week I try to up my speed a little each day. I am now in week 4, and will finish day 3 today, then finish out week 5 the rest of this week. I am still playing catch up from what I missed then I will double up next week as well. I am hoping that the warm weather comes back so I can get outside for at least one 3 mile run before the race day. Yesterday, I had an amazing workout and I pushed myself to run faster than I had been. I highly recommend this app if you are getting back into running after being out of it for a while. So far I am progressing and love how I am reminded to get my workouts in each week! Now it is time to link up! Head over to the link up page for full details!